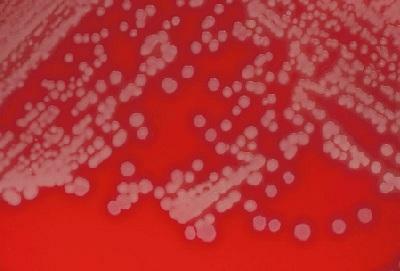 A steroid medication linked to the death of at least five people from rare fungal meningitis may have been administered to patients in 23 states, the U.S. Centers for Disease Control said on Thursday, raising fears the rare outbreak could spread. In a briefing for reporters, the CDC said five people had died so far and 35 had fallen sick from fungal meningitis in six states. The outbreak was first reported in Tennessee, where three people have died and 25 of the cases have been reported. The other confirmed deaths were in Virginia and Maryland. "We do know there were over 700 patients in Tennessee who were exposed," said Dr. William Schaffner, an infectious disease expert at Vanderbilt University School of Medicine in Nashville, who said the number was provided to him by Tennessee state health officials. The CDC said it had not yet determined the rate of infection among those patients who received the potentially tainted steroid. The rate of infection is an important barometer of the potential for the outbreak to spread. "At the moment, fortunately, the attack rate looks pretty low - less than 1 percent -- but we are still in the early days of defining this thing," Schaffner said. The steroid is administered to patients, usually by injection, primarily to control back pain. All the cases have so far been traced to three lots of Methylprednisolene Acetate from a pharmaceutical compounding plant in Massachusetts, according to the briefing. The company, New England Compounding Center Inc, or NECC, in Framingham, Massachusetts, prepared the medication, which has been voluntarily recalled. The company has also voluntarily surrendered its license. Attempts to view the NECC website prompted a "temporarily unavailable" message, and company officials could not be reached by phone for comment. "We are encouraging all health facilities to immediately cease use of any product produced by NECC," Dr. Madeleine Biondolillo, Massachusetts public health director of safety, told reporters in a conference call from Boston. A fungus linked to the steroid medication has been identified in specimens from five patients, according to the CDC's Dr. Benjamin Park. The Massachusetts Health Department said there were 17,676 vials of medication in each of the three lots under investigation. They were sent out July through September and have a shelf life of 180 days. The CDC said the fungal contamination was detected in the examination of one of the sealed vials taken at that company. Patients who received the injections were at risk of developing fungal meningitis for at least a month after their last exposure, Schaffner said. "There is a fairly long incubation period. ... That hasn't run out yet for many patients," Schaffner said. "Over the next few weeks, we are going to see a progressive accumulation of cases," he said. Fungal meningitis is rare and life-threatening, but is not contagious from person to person. Meningitis can be passed to humans from steroid medications that weaken the immune system. Symptoms include a sudden onset of fever, headache, stiff neck, nausea, and vomiting, according to the CDC web site. In addition to the 25 cases so far in Tennessee, one has been reported in North Carolina, two in Florida, four in Virginia, two in Maryland and one in Indiana, according to CDC's Park. About 75 facilities could have received the steroid in the 23 states. They are California, Connecticut, Florida, Georgia, Idaho, Illinois, Indiana, Maryland, Michigan, Minnesota, North Carolina, New Hampshire, New Jersey, Nevada, New York, Ohio, Pennsylvania, Rhode Island, South Carolina, Tennessee, Virginia, Texas and West Virginia, according to Park. One facility in Indiana, St. Mary's Health, said on Thursday that 560 patients had received the recalled medication. They received the steroid at the Surgicare Cross Pointe clinic in Evansville, said St. Mary's spokeswoman Laura Forbes. She said one of the 560 patients had been diagnosed with meningitis and was in the hospital and 10 to 15 others had been advised to seek further medical care. In Tennessee, the worst-hit state, some patients are "really critically ill" and in intensive care units, said Dr. Marion Kainer of the state health department. She declined to say how many were critical. A compounding pharmacy takes medications from pharmaceuticals manufacturers and makes them into specific dosages and strengths for use by doctors. The drug ingredients are regulated by the FDA, but compounders are regulated by state agencies, the industry's trade association said. The Massachusetts Health Department said there had been several complaints against NECC. Complaints in 2002 and 2003 about the processing of medication resulted in an agreement with government agencies in 2006 to correct deficiencies. In 2011, there was another inspection of the facility and no deficiencies were found. In March 2012, another complaint was made about the potency of a product used in eye surgery procedures. That investigation is continuing, the state health department said.